Well, I got the front split /thwart done today. And as I suspected the centerboard trunk is now soild as a rock. I think I’d have to whack it with a sledgehammer to get it to move any – and no – I’m not gonna try it just to see. 🙂 I thought I’d be done for the day, but I said to myself “just one more thing”. So I got out the cap for the trunk – rounded the edges and screwed it down. That’s one less thing I’ll need to do later and it didn’t take but maybe one extra hour. Speaking of time, I’d guess I’m roughly 175 hours into my little project here. Still only spent about $290. 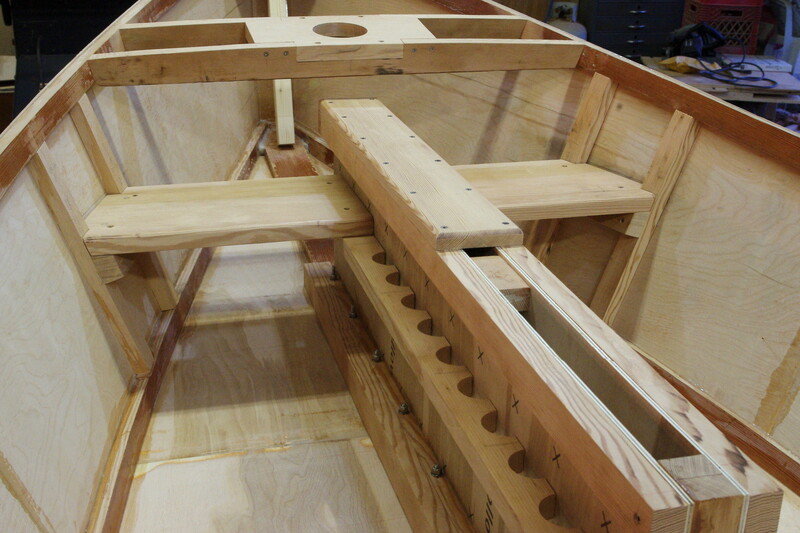 Next week I’ll be working on the mast steps and the framing for the washboards. And all this interior work still need to come back out and get epoxied back in. Now, somebody’s gonna have to clean up this mess…. No takers? 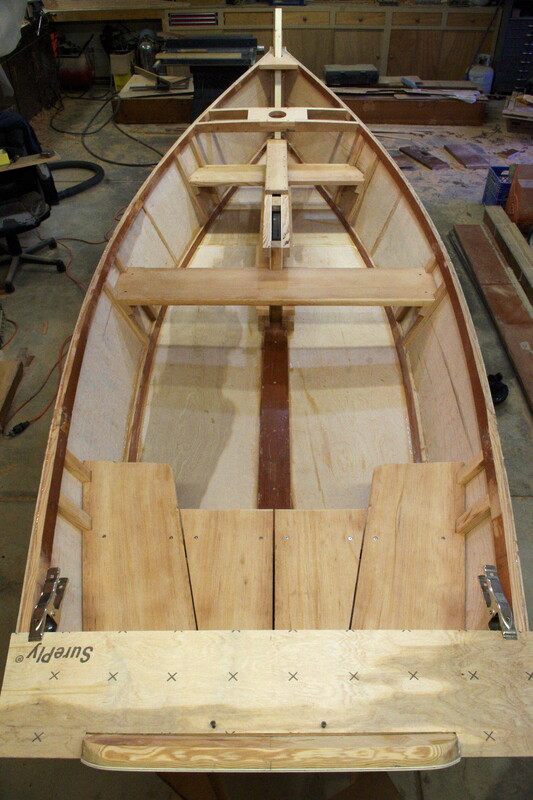 This entry was posted in Sharpie build and tagged boat building, centerboard, centerboard trunk, frames, mast partner, sailboat, sharpie sailboat, sternsheets, thwart, wooden boats. Bookmark the permalink.